After helping more 2500 families transform their outdoors, we noticed that there are some things you can do that can make your outdoor space look amazing without even trying. More importantly, you and your family will enjoy an outdoor space that is thoughtfully designed and crafted. When it comes to the debate of whether to stick to one material or more, We would suggest that you mix it up and add some variety. Some outdoor materials include artificial grass, coloured artificial turf, composite decking, stone slabs and pebbles. Of course you can get creative with other materials, but it’s important to ensure that they are sturdy and durable enough for the outdoors which is exposed to sun and rain. Why use More than One Type of Material? 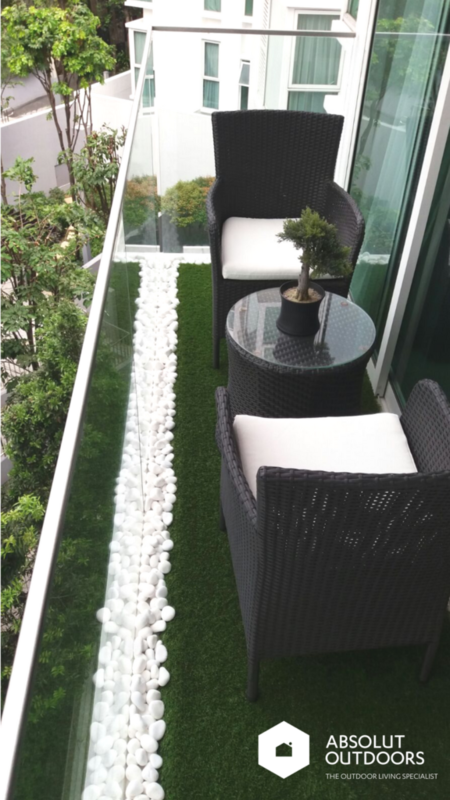 This slightly larger balcony features 3 outdoor flooring materials: artificial grass, composite decking and stone slabs. The different materials on the floor can demarcate different sections of a large space. 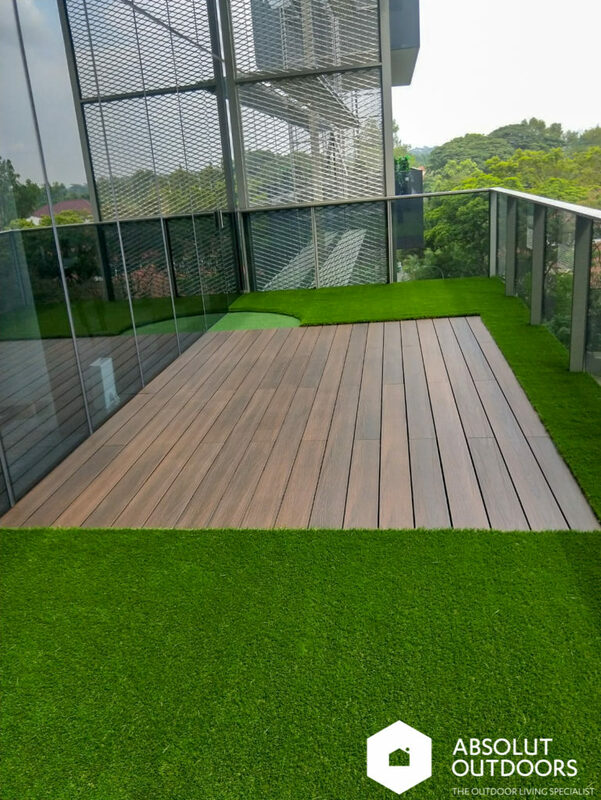 Decking, Artificial Grass and Stone Slabs on BalconyDuring the festive season when friends and family gather, you can easily create pockets of space for everyone. Perhaps the younger family members may gravitate towards one table and the older folks may play mahjong at another. Or maybe you can set up a buffet spread at one section, and have guests chill at another. For smaller balconies, using more than one type of material actually has the effect of making the space look bigger than it is. It doesn’t all have to be on the floor. 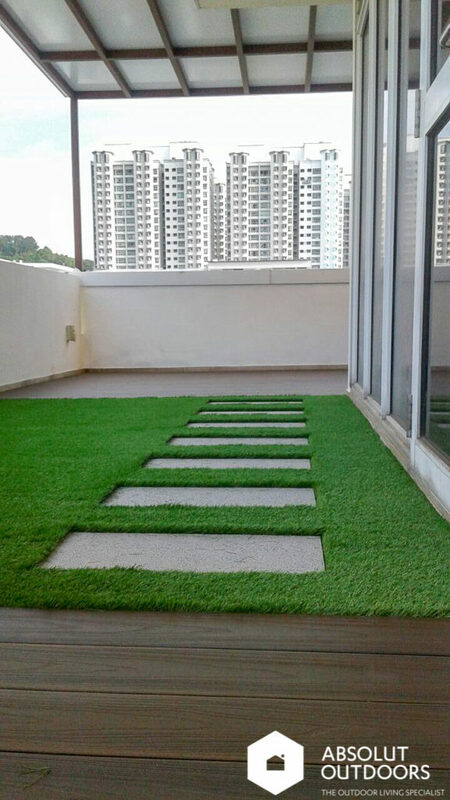 You can use artificial grass on the floor, decking as the side bench, and an artificial vertical garden on the wall. 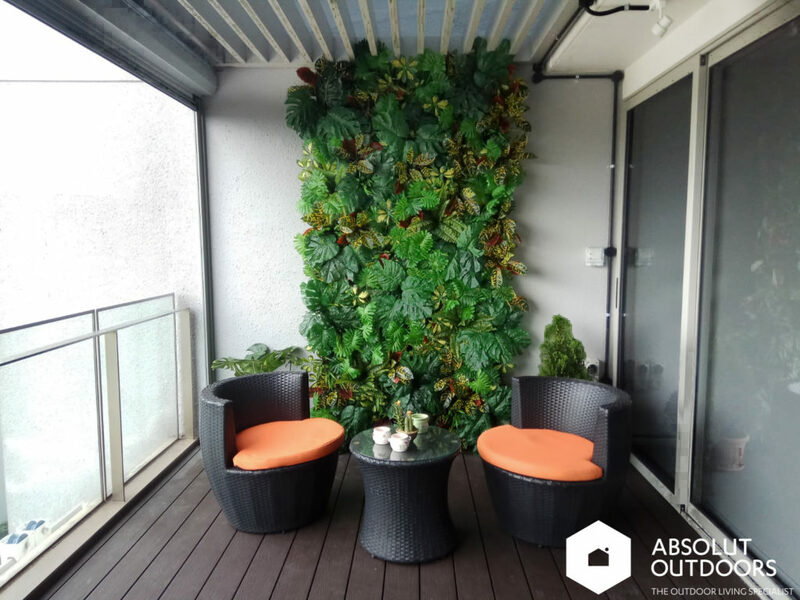 The different textures of materials add points of interest to the balcony or garden and make it fun to hang around, as opposed to white walls and cold ceramic tiles. This is especially useful for small balconies. 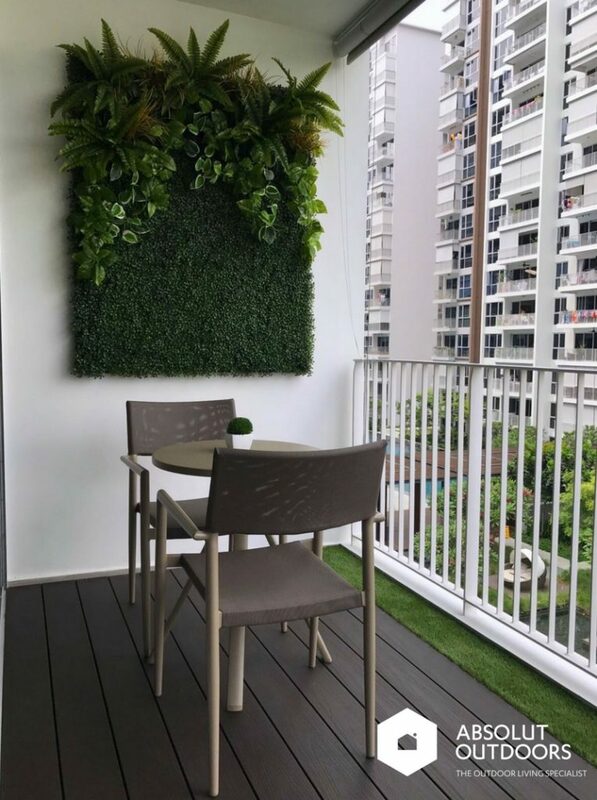 Instead of spending all your effort on the flooring, you can add vertical gardens to create your very own oasis. Stay tuned for the next blog post, where I share more about how to create a balcony or roof terrace that your neighbours will want.